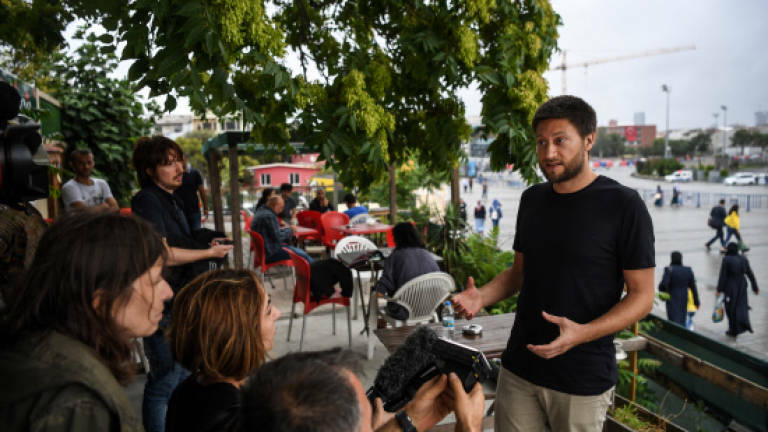 18 Jul 2017 / 23:40 H.
BERLIN: Berlin on Tuesday slammed as "unjustified" the detention by Turkey of six human rights activists, including a German national, ordered to remain in custody for allegedly aiding a terror group. "We stand in solidarity with Peter Steudtner whose detention in Turkey is unjustified and will advocate for him on all levels," Chancellor Angela Merkel's spokesman Steffen Seibert tweeted. The foreign ministry issued a separate statement condemning the detention of the six activists, calling for their "quick release from custody". "Linking a fighter and spokesman for human rights and democracy like Peter Steudtner to supporters of terrorists is wrong," a ministry spokeswoman said in a statement. "Amnesty International and other non-governmental organisations make an extremely important contribution to plurality, democracy and the protection of human rights in Turkey." Amnesty's Turkey director Idil Eser was detained on July 5 with seven activists and two foreign trainers including Steudtner during a digital security and information management workshop on an island south of Istanbul. "Six were remanded in custody and four released on judicial control" by a Turkish court on Tuesday, Amnesty International's Turkey researcher Andrew Gardner told AFP. A German diplomatic source said Steudtner was receiving consular support in custody. Relations between Turkey and Germany, home to three million ethnic Turks, have been badly strained, especially since the failed coup attempt a year ago against Turkish President Recep Tayyip Erdogan.